A bystander captured video of a driver repeatedly ramming his SUV into another vehicle in an alleged road rage incident this week in Sacramento that resulted in an arrest, according to a report from KCRA. 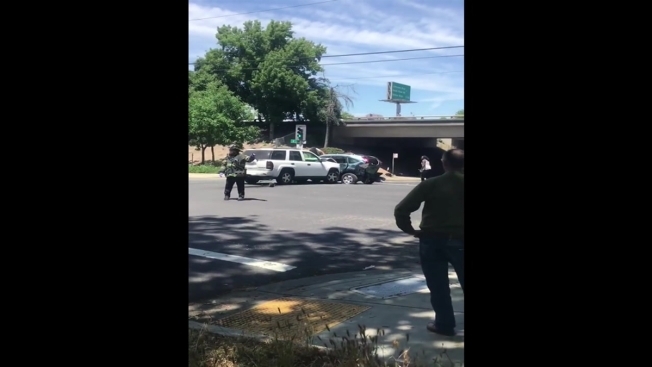 It's not clear how the incident started, but two vehicles, a white Chevy Trailblazer and a silver Ford Fiesta, apparently exited Highway 50 onto surface streets about 1:30 p.m. Monday near X and 10th streets, KCRA reported. 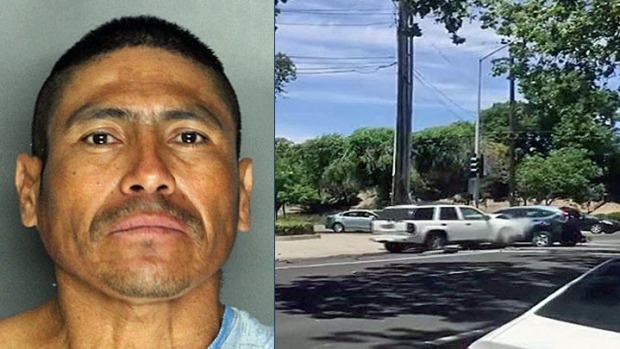 The Trailblazer's driver, later identified by police as Jose Garcia Alvarez, 40, first began ramming the Fiesta, according to Sacramento police, then is seen in the video repeatedly slamming into a silver Honda CRV that had been parked nearby. The Fiesta driver left the scene, police said. Alvarez continued to ram the CRV and gun the gas for several minutes, the video shows, even after fire crews arrived, to the point where the two vehicles were sitting in the intersection of 10th and X.
Alvarez then is seen getting out of his vehicle and jumping on the unoccupied CRV, trying to break out the windows and stomping on the roof. Police officers arrived a few minutes later and detained Alvarez, who was taken to a hospital to be treated for unspecified injuries. Alvarez was booked on felony charges of assault and vandalism, police said. KCRA contributed to this report.